Our experienced staff can help with the design of your Stencil and apply industry standard IPC-7525A guidelines for designing your Stencil. We have all of the standard frame sizes available and can also provide frameless systems. We also provide mini rework stencils along with BGA Repair/Re-balling Stencils. Try us out, we guarantee you will be satisfied. 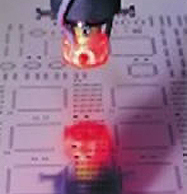 Let Tropical Stencil be your source for your Printed Circuit Board requirements. 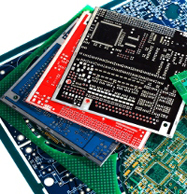 We have been providing our customers with the PCB’s and Stencils for over 15+ years and we can provide quick turn prototypes, as well as support all of your production requirements. Get your PCB’s and Stencils delivered at the same time. Visit our capabilities page for an overview of our technology. We provide stocking programs, and work with your MRP, Try us out on your next prototype or production order.